This is the news! This week, I’m bringing you some news, both for the world of gaming as a whole and for this site itself. Over to you, me. For the entire list of 46 additions, you can find them here. I’m sure I don’t need to point out that this is a monumental step forward for us gamers- we are entering the folds of popular culture and making our presence known! 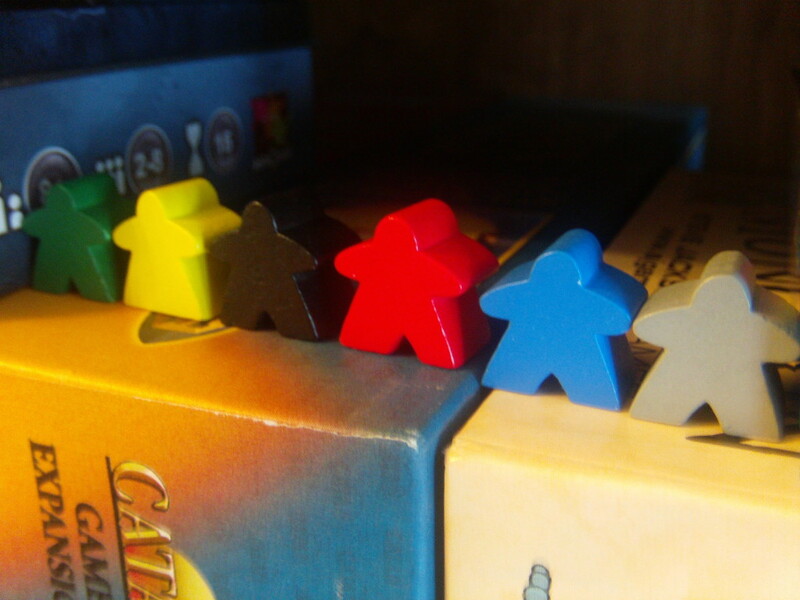 So, in celebration, why not post a photo of yourself with some of your meeples on our Facebook page? Show us your marvelous meeples and express your love for this hobby that we all enjoy! In other news, our site is officially taking part in the Extra Life charity fundraiser for 2015. We will be raising money for the Riley Hospital for Children and our fundraising goal is $150. For those of you who don’t know, Extra Life is a fundraising event that happens every year where gamers try to raise funds and awareness for local causes that they care about through the playing of games. We have until November 7th to raise the funds we need and the whole event will be capped off by a 24 hour game-a-thon, all in the name of charity. That’s right, I will be playing board, card, and tabletop games from 8am Saturday morning until 8 am Sunday morning. This is the first time that I’ve participated in this event and it should be really interesting to see how it turns out. For those of you interested in contributing to the cause, the website for our page can be found here. On it, you can find more information about Extra Life along with a link to donate to this worthy cause. Every dollar helps and ALL PROCEEDS go to the Riley Hospital for Children. Well, that about wraps up the news, this week. Next week, we’ll be back to normal- providing you the content that you love here at A Space Ahead. We have some great game reviews on the way, along with a new interview, a how-to article, and tips on throwing your own successful game night. Expect some great things in the weeks to come, and thank you for your readership, dear readers.